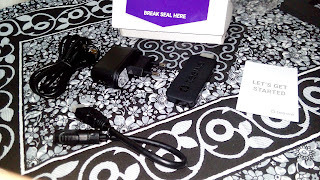 The only way of enjoying your downloaded movies, music or pictures has either been a DLNA enabled smart TV or a HDMI Cable connected to your laptop or smartphone in few cases. But often in most of the cases we really wish if we could have one device which could really help us stream all our content whether on Mobile or Laptop to our LCD, LED Screen or if there would have been one device which could really make the LCD or LED TV, much smarter, but t ill now for this wishlist, we only had a Wi-Fi streaming device - Google’s Chromecast, which was launched 2 years back and is currently available in India at just less than INR 3000. So far, Chromecast has been only option for streaming the online videos to your smart TV, but the Windows Smartphone users were left ignored. For Lumia users, there is an application Play To but that’s useful for Smart TV owners. Hence, there was always a need of one such Device which could not only help us watch online content from various sources, but also help us stream our personal content onto a regular non smart LED / LCD TV over wifi. And now the company has recently launched the new version in the market, please make way for Teewe 2. Competitively priced at Rs. 2399, is an improved packaged device from its predecessor. Let’s go through the in depth review of this Device and why this is a charm for Windows Phone users. The moment you open the box, a very nice matt finished Teewe 2 dongle sits through, awaiting to come out. There is a HDMI Cable (Male to Female) inside the box. I guess it’s an good idea to provide such cable as it helps people who LCD or LED Tvs has HDMI in the rear, instead of left or right panel. You’ll also find a micro USB Cable to power the Teewe 2 dongle and a connecting AC socket. There is also an instruction manual in the box to get through with set up, manuals etc. The moment you take the device in your hand, you would feel just wow. A well made, sturdy matt finish, which feels very strong in hand. It’s sleek, and much smaller than the previous version. 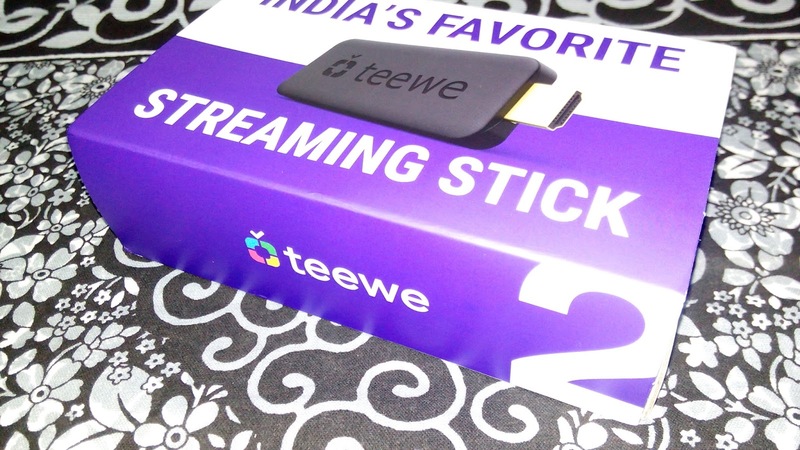 There are a few reports which state that Teewe 2 is a little smaller than the Chromecast as well. The design is simple, with HDMI Male post at one side and absolutely nothing on the rest of the two sides. One side there is an Micro USB slot which act as a power slot and an LED which confirms the established power connection. The product looks classy and the built product quality is really nice. Setting up Teewe 2 is as easy as switching on a light. All you need is a LED TV or LCD TV with a HDMI Port, an active Wifi Network (the better the speed, the faster the browsing, a Tablet or a Laptop or a smartphone (Lumia1520 in our case) and Teewe 2 Dongle ofcourse! Once the setup is complete, you are good to go. 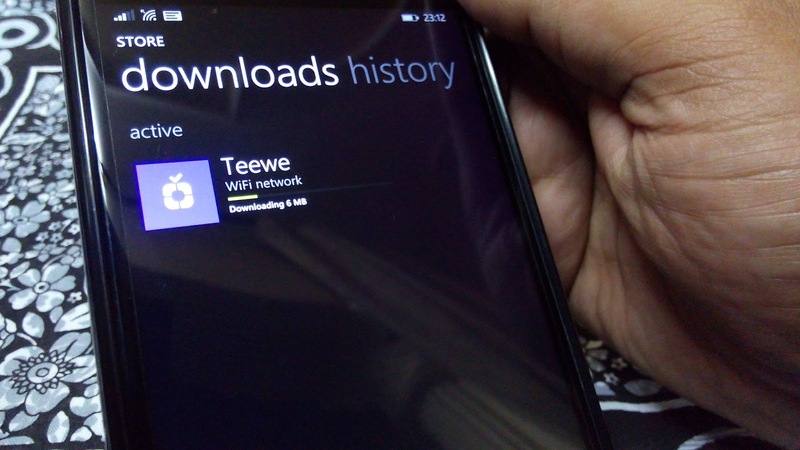 To stream any content, you need to have the Teewe app installed on your Windows Smartphone, Windows Tablet, PC or Laptop. The app has been designed ina way that it is a kid’s play. The moment you connect the app and the connection is established, you’ll see a homepage which gives you various options of streaming the content. Just choose what you want to stream on your screen and it starts playing the content within no time. The transitions and UI both on app as well on screen is smooth and vibrant. You can see a wide range of categories on YouTube’s content. The best part of the custom made Windows App is that the moment the device discovers your phone, it scan the phone media in no time. Teewe 2 App also aligns YouTube content that you might want to watch or you can sign in into your Youtube Account and stream all your favorite videos, songs, series or movies. Would have been great if the dongle would have been able to give ur screen mirroring as well, but I have no complaints as the app let’s us stream all the local media we have in phone. You can also enjoy viewing the content on the phone screen from inside the application, and that too with ease. 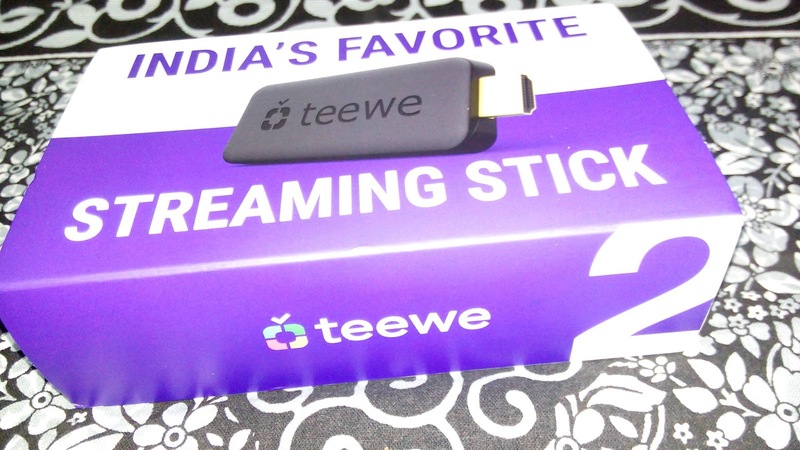 Teewe is an HDMI Dongle, which lets you stream media to your television wirelessly with the tap of a finger. Sounds like a lazy man’s ambition? Read on ..
★ YOUTUBE - Browse and watch YouTube videos. Enjoy your YouTube playlists and videos from your favorite channels anytime. All on the bigger screen! ★ PHOTOS, VIDEOS & MUSIC - Relive your memories with your family or dance to your favorite tracks from any phone or laptop / PC on the same WiFi network, without hassling with messy cables. ★ FREE MOVIES & TV SHOWS - Grab a popcorn and choose from several free movies and TV shows. ★ PERFECT FOR PARTIES - Queue in a video / song from your smartphone, while others in your house do it too. With Teewe, everyone has a say - Queue. Play. Share. Repeat! ★ DO MORE WITH TEEWE - Watch stuff from your laptop / PC / Chrome browser by downloading Teewe Desktop app & Chrome Plugin. ★ NINJA CUSTOMER SUPPORT - Teewe support team is available from 10 am - 10 pm round the week to assist you with any issue / query. The Teewe 2 dongle can be connected to any HDMI supported TV and even to the Monitors. The newer version of the dongle has a 1.6GHz dual-core ARM Cortex-A9 processor with 1GB of RAM and Wi-Fi 802.11 b/g/n connectivity. The best things about Teewe 2 is that speed of establishing a connect and speed of streaming the content from the tap “Play” is super fast. Though streaming internet based content completely depends on your internet speed. The ideal internet speed you require should be more than 1 MBPS, at lesser speed the device tends to buffer more than playing the internet based content. Also, depending upon the screen/ LED/ LCD, the display device might tend to change the video quality and thus the speed of buffering. Yes, we have an answer to Chromecast and it’s made in India. It offers much more than just streaming the internet based content. It’s UI is super smooth and the streamed content looks high quality. The usage of the device over days and weeks didn’t really bore us, everytime I connect my Lumia 1520, I was always excited to use it. At the price at which this product is being offered online, with great looks and uber experiential application, this device is definitely a must buy. For all our Windows Users, you can easily install the Teewe App on your phone and stream all your content on any screen. Need of Miracast or Screen Mirroring is really not required. So pick up your colas and a tub of popcorn and get ready for a party. 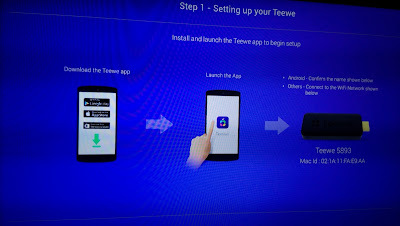 Watch your old pictures or some recents one from the last trip with friend or video and just dance to the phone music, Teewe is the answer for all your needs. THE WEEK1 #RAININGTEEWE CONTEST IS NOW OVER. STAY TUNED AS WE WILL MAKE FRESH ANNOUNCEMENT OVER NEXT WEEK'S CONTEST!